By the time many metro Detroiters start their morning commutes, Melissa Majeski is already well into a 14-hour workday. By 8 a.m., she has made the 20-minute drive to Warren Woods Middle School, prepared lesson plans for the day, graded assignments, and finished calling parents. All before the first bell rings. The next four classes of regular and advanced math, along with a Legos robotics class, are a blur. Then, after her students leave, she rushes off to her second job, teaching ballet twice a week at a dance studio in Clinton Township. 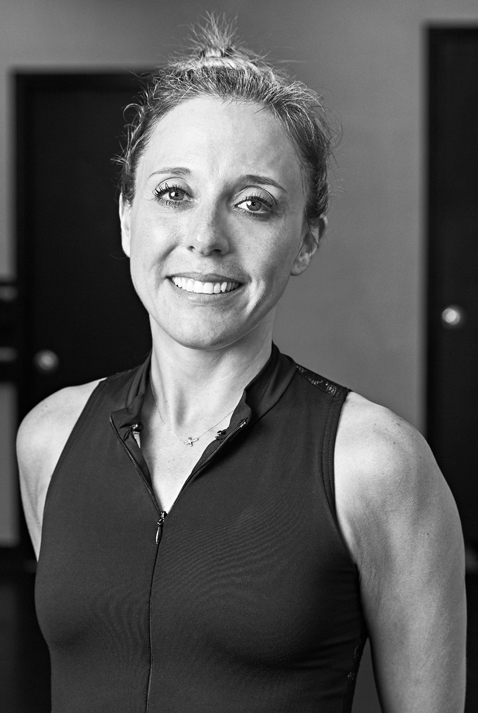 Over the next five hours, she guides leotard-clad students through pirouettes and chassés. But it’s exam week for the high school girls, and her 9:30 p.m. quitting time isn’t going to happen tonight. After class, Majeski spends 45 minutes kneeling in the hallway, helping a ballet student cram for her final. Sometimes a teacher’s job never ends. Twelve years ago, Majeski, 35, landed her first teaching gig at Conner Creek Academy East High School, which offered her a starting salary of $29,000. Before the school year started, she sat down with her father to calculate the amount of money she would have left in her paycheck after paying taxes and saving for retirement. It wasn’t all that comforting. 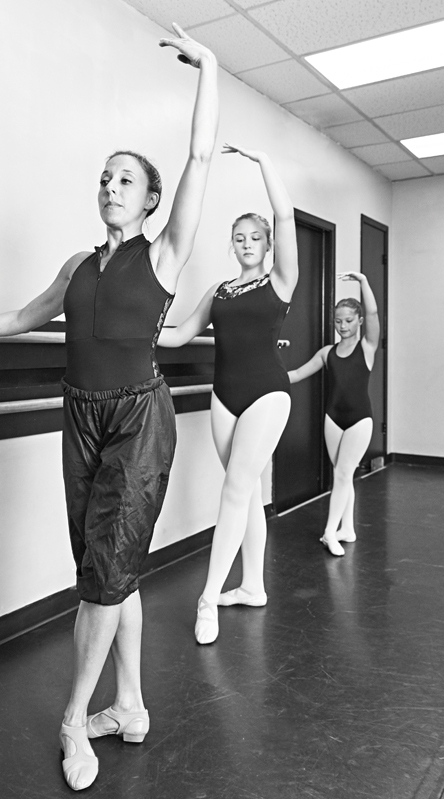 To cover all of her bills, Majeski would have to take on a second job, so when the position opened up at the dance studio just two weeks after she was hired as a teacher, she took it. In doing so, Majeski became part of the 19 percent of teachers in Michigan who have side jobs outside of the education system, according to a 2011-12 survey by the National Center for Education Statistics. have taught and levels of education, but it doesn’t always work out that way. In Majeski’s case, her district suffered a four-year pay freeze, stunting her earning power for years: Today, she’s on step 2.5 on her salary schedule, the equivalent pay of a teacher with two and a half years of experience. Eventually, she was able to earn a raise by getting her master’s degree, which she finished in four years while teaching. She even took an additional 15 credits to bump her salary another $2,000. Last year, from teaching alone, she made around $54,000, but she’s keeping her ballet job to pay for the additional schooling. If all goes as planned, Majeski might arrive at a place David Carson has worked hard to get to. Before he first began teaching at Oxford High School in 1990, Carson, now 49, knew his $20,000 starting salary wasn’t going to be enough. So it was an easy decision to keep the brick paving jobhe had had for the past two years, which earned him $25,000 each summer. In those early days, Carson found himself planning most major life decisions around how much income he could generate from his various jobs. He considered how many kids he could support and when he could have them. 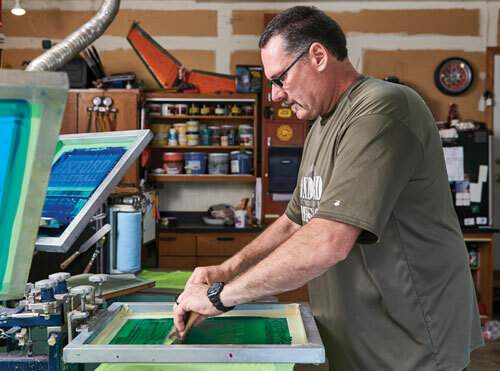 When he started a family, if he wanted to take them on vacation, he’d figure out how many T-shirt orders he would need to fill from a screen-printing business he started in his garage. In order to pay for car insurance for the year, he might pick up a job teaching an online class. He also took on coaching jobs, tutored students, advised clubs, and plowed snow in the winters. He even built his own house and fixed his own cars to save money. 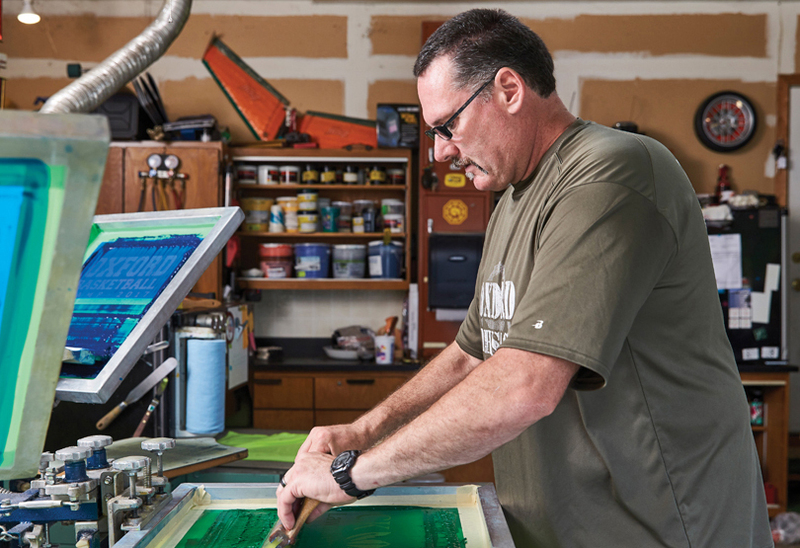 Looking back, he doesn’t think he would have three children and his current property had he not had the side jobs, most of which he hasn’t given up nearly 30 years into his teaching career. That, Carson says, can take an emotional toll on you. 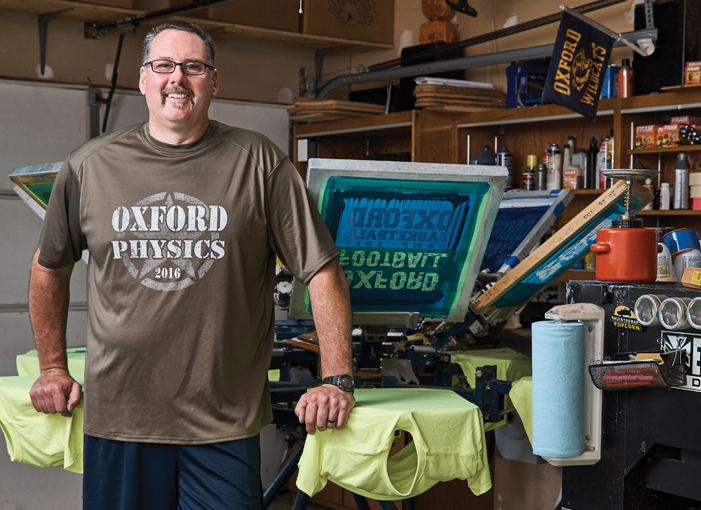 Though Carson has reached a comfortable place in his career (after 27 years at Oxford High School, he has now reached the highest step in his salary schedule), he sees how hard young teachers have it. Nowadays, he notes that if a teacher is younger than 30, it’s very common they have a second job and often a roommate — though they are sometimes reluctant to share that with students. That’s a thought that sometimes runs through the mind of Kaylee Haisma, 23, who recently completed her first year of teaching at Robichaud High School in Dearborn Heights. During the school year, the University of Michigan grad kept her seasonal job as a groundskeeper at the university’s golf course. In January, she added another position to her résumé: Mary Kay consultant. During the 2016-17 school year, Haisma made just less than Michigan’s 2012 average teacher starting salary. Her $35,500 income allows her to pay the bare necessities each month, but nothing more. Like Carson, her income from her side jobs is earmarked. Her golf course income goes into a savings account for a future house; her Mary Kay profits are used to pay off her student loan debt. 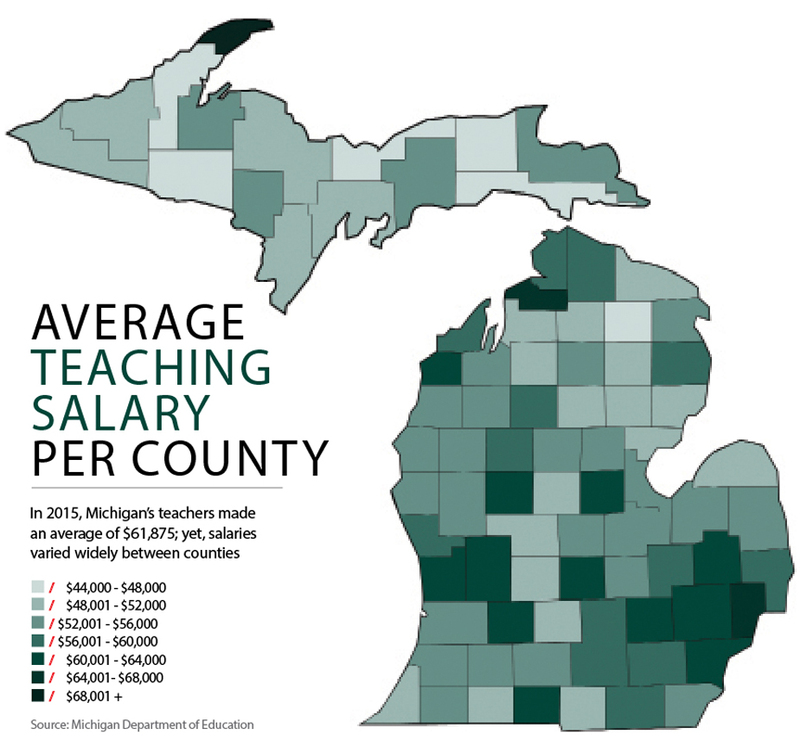 Average teaching salaries in Michigan have declined since 2011, according to data from the Michigan Department of Education. And from 2010-15, the number of teachers in Michigan fell a little more than 8 percent, while the attrition rate for Michigan teachers is 10 percent. Haisma isn’t giving up on teaching yet, but she’s not letting go of her job at the golf course, either. Haisma’s two-week, full-time paycheck from groundskeeping is 70 percent of her two-week paycheck from teaching. “I have thought before at some points, like, why don’t I just go off and do groundskeeping somewhere,” Haisma says. “A job where when I leave work, my work stays there. I don’t bring it home with me. I could go and just do Mary Kay full time because people who do that can make a lot of money. While teachers have found ways to cope with shrinking salaries, their benefits are now taking a hit, too. In 2011, the state began requiring teachers to pay 20 percent of their health insurance premiums; and in July, Gov. 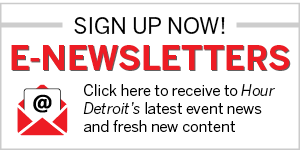 Rick Snyder signed a controversial overhaul of the teacher pension system. These changes, Carson says, can be a tipping point for new teachers. “It was easier to get into when I started — the pay was low, but the benefits were high,” Carson says. “[Now,] you gotta be good at saving, kind of creative at making other money on the side, and then you can do it … you can teach. And if you teach long enough, you’ll get to a high enough pay that it’ll be OK.
Why have teachers’ salaries been declining over the last six years? My opinion is it’s a structural problem and the problem of not investing in education the way our state should. The focus has been for the party in power to cut taxes to businesses. We had a huge tax cut in 2011, and we also had cuts to education about the same time — about $2 billion — and we’ve been trying to recoup since. Plus, the recession: We get most of our money for education from property taxes, so the values of the homes went down and it affected the money for education. It’s partly because of the tax structure, but also there’s just not a commitment to paying our teachers what they deserve. What other factors have impacted salaries? Michigan’s been losing students overall — not just in Detroit. The last 10 years or so, it’s been about 200,000 students, and we’ve had an increase in charter schools in our state, which are not well-regulated. The money follows the kid, [so] now you have increased competition over that decrease in students. We have more infrastructure than we can handle, and so that’s going to put schools into a deficit situation. It squeezes the local budgets on these schools, and they’re not getting the money that they need to make payroll. What can happen if a district isn’t receiving the state funds it needs? If you’re not getting the sufficient money that you need from the state, which is based on per pupil enrollment, then you’re going to have to cut the money that goes into the payroll — which means larger class sizes, and often at the same time, cuts in teachers’ pay or freezes on pay in order to get out of deficit. They’re required by the state not just to be out of deficit, but to have a certain surplus — I want to say 5 percent. If they don’t, the state can come in and they can actually close you down, which is what they’ve done to Buena Vista and Inkster. How is the state’s investment in education changing? There have been increases in the education budget, but I’m pretty leery with this legislation that just passed allowing some business leaders to capture the taxes and then keep them for themselves instead of going to the school’s budget. That’s a shift that’s been happening, and then these tax credits that are being offered to attract jobs. I mean, eventually, that kind of stuff is going to have a negative impact on the budget. I’ve seen an increase over time of the foundation allowance, the money that goes per kid, but we had an adequacy study done a couple years ago, and they made it clear that we are not where we need to be.